1. Though faculty felt personally connected to the Catholic mission of their institute, they moderately disagreed that the faculty as a whole in their school felt connected to its Catholic mission. 2. They disagreed that students should be required to take more theology and philosophy courses. 3. They moderately agreed that more diversity of courses (Eg., gender studies, peace and justice) should be required. 2/ Nothing surprising there. The real problem seems to be that what had been taken for granted for years had suddenly become a sensitive and intractable problem, not helped by hostility between various factions, the fear of a new conservativism, and the possibility of dealing with a non-marketable entity in the fierce arena of academic competition. Arguments veer between those trying to prove that being Catholic makes no difference to the academic status of the University, and those asserting that it should. 3/ Whilst we at ACU can profitably eavesdrop on the North American discussion, our situation is notably idiosyncratic a very young institution; Catholic, but part of the national system, with no precise parallel in the US at all. In this extended reflection, I intend to solve no problem, but to tease out the context in which it might be approached in the years ahead. Appropriately, our first section deals with the complexity of the issue. 4/ Charles Péguy considered, Everything begins in mysticism and ends in politics. In the case of ACU the situation was different. It began with politics, or at least with that particular political assault in the Dawkins era on the established universities, leaving our University with the problem of defining its mystique, and of integrating its mystical inheritance into the educational fabric of the national system. The situation is of course never simple. It surfaces in questions related to the Catholic nature of our institute: that promises a lot of mysticism and a lot of politics, in the historical round of the mystical first asserting itself against the political, and then by asserting itself through politics to protect and enhance its identity in different cultural and social situations. 5/ Life, any life, personal or institutional, has its visionary and political aspects. There is a time for everything under heaven, as the sage of old allowed. There is no ultimate synthesis in which everything will be held in harmonious equilibrium. A mission statement is followed by a strategic plan. The expanding curriculum must meet the restraints of contracting budget. An exalted sense of ethos must carry over into particular directions for research and teaching, and into the processes of appointment of faculty and the renewal of contracts. For the University to identify itself within the Catholic tradition involves its necessarily with those who are recognised by that tradition as its authentic interpreters, namely the Pope and the bishops. At a mystical moment, we might frame the Catholicity question, for instance, as, What is the theology, implicit or otherwise, of ACU? In a more political emphasis, we might ask, What should be the role and place of theology within the University, and how is it related to the teaching and mission of the Church, and to the pastoral responsibility of local bishops? 6/ How can the Catholicity of our University be best researched? That question must go deeper: How can such Catholicity be best identified? The hope, throughout, is invite all concerned parties into a conversation on how such Catholicity, identified and researched, can be, not a divisive or reactionary dimension of ACU, but a bracing and creative force. I, along with others, am not convinced that these considerations are susceptible to clearly measurable outcomes for reasons that I hope will be made clear. I dont mean that Catholicity defies all attempts at quality control, e.g., the number and mode of appointment of faculty and staff, and the properly authenticated development of a curriculum that has a recognisable affinity with Catholic faith and values. Nonetheless, what we call the Catholic ethos is something far more pervasive, subtle and profound. I am not saying it is purely subjective, for there are most certainly objective criteria. It has historical shape, a communion of churches headed by bishops in communion with the Bishop of Rome  the Church in its articulated ecclesiastical sense, the oldest institution in what we call "Western Civilisation". There are sacred scriptures, liturgical rituals, defined doctrines, recognised authorities, canonised saints, mystics, martyrs, doctors and confessors, reformers and founders and all the rest of that billion of us who find ourselves in, or who have found our way to, the Catholic Church. There is therefore, in purely historical and cultural terms, an immense, to some, an overwhelming objectivity about the Catholic thing as Rosemary Haughton called it,3 emerging out of an experience of two millennia of history. Not to recognise that would reduce this Catholic thing to a bunch of propositions or to endless discussions on who best articulates them. I doubt that current amnesiac tendencies in educational curricula are favourable to any understanding of Catholicity. When the culture as a whole seems to be exhibiting the symptoms of Alzheimers Syndrome, it is hard to speak of anything requiring a long-term memory, and the long haul and long view of hope itself. But even if this were a time of thriving historical studies, the meaning of all this can never be fully objectified. So when an institution a university, say, or a farm or a hospital is the bearer of a tradition of practice or practices, its common life will be partly, but in a centrally important way, constituted by a continuous argument as to what a university is and ought to be or what good farming or good medicine is. Traditions when vital embody continuities of conflict (206). 9/ In his view, to the degree a tradition is simply opposed to intellectual exploration or so insists on uniformity that discourages healthy argument, that tradition is already dying or already dead.5 For him A living tradition then is an historically extended, socially embodied argument, and an argument precisely in part about the goods which constitute the tradition.6 He asks, therefore, given that traditions decay, disintegrate, disappear, What then sustains and strengthens traditions? What weakens and destroys them? 11/ What is he getting at? I would interpret him in the present context in this way: unless we cultivate a habit of mind and heart that enables us both to appreciate and yet to critically examine the deep narrative structuring our sense of God, ourselves and the universe, we are in fact closing ourselves to the future, and the manifold creativity required to move on in a hopeful positive spirit.9 Hence the necessity of exercises such as this. To focus the general in the particular, let us move on to the next point, the three components in the name, Australian Catholic University. 12/ ACU, because of the tripartite significance of its name, is involved in big questions which, in many ways, are shared by colleagues in other tertiary institutions agonising over the corruption of once great intellectual ideals. The German poet, Hölderin, referred to the conversation that we are ( Das Gespräch wir sind)  a phrase that can serve as a working description of our own small, scattered and under-resourced, but by no means dispirited, University. Inherent in that conversation which engages all of us one way or another, and despite preoccupations proper to economic survival, a range of immense issues are lie beneath the surface: what is it to be Australian? Catholic? A University? We went after blind guides and followed the false direction, and the actual civilisation of England and America are the result. A civilisation with many virtues, but without lucidity of mind and largeness of temper. And now we English, at any rate, have to acquire them, and to learn the necessity for us, to live (as Emerson says) from a greater depth of being (Preface to Irish Essays (1882)). 14/ This loss of depth of being is the point at which our culture trembles today. Australia has a chance of being something new; to some degree it realised it; but when challenged by the demands of the future, it is severely tempted to regress to the false direction that Arnold lamented. More to the point, is our educational system leading to the greater depth of being that the frenzied superficiality of soul-threatened civilisations most need? There is a loss, when the only excellence apparently recognised is in sport, business and entertainment. Still, matters are not decided. Our recent exposure to events in East Timor jolt the country into a reflectiveness that is likely to be intensified. It may well be a time of great promise. A new awareness of Australias 50,000 year aboriginal prehistory and the issues of justice and reconciliation that have emerged in our relationship to the Indigenous population have resulted in a certain expansion our cultural consciousness. The dramatic change occurring in the composition of the migrant population brings with it an exposure to new cultures and new religions. The Asianisation of the country is a fact, resulting in a more organic sense of the S.E. Asian region as a political, economic, and demographic entity. An intensification of ecological awareness, joined with a new appreciation of aboriginal spirituality tends to make us see the land in terms that border on the religious, as something of a vast sacred site. While the once coherent and confident Irish church is suffering a huge institutional strain, a widespread interest in spirituality, together with the remarkable spiritual witness found in our poetry and literature, in our painting and music, provides data that resist any overly negative judgment. Something is being lost; yet something is being missed; and something is being sought.10 The greater depth of being, though elusive, is still felt to be a challenge. Our satirists and humorists certainly have plenty to work on, but they also indicate the presence of a protest. The Churchs recent involvement in consultation on the distribution of wealth and the role of women in society and the Church are unprecedented. The number of people studying theology at a tertiary level must bear results in the long term. A greater depth of being? Perhaps... Of itself, even becoming a republic, while allowing new questions to surface regarding our future and present responsibilities to this region, will not deliver the goods! 15/ Catholic: what can that mean? Interestingly, despite the frequent tendency to translate catholic as simply as universal, the early Latin Church chose to use, not the Latin word, universalis, but a Latinised Greek word: Credo in unam, sanctam, catholicam et apostolicam ecclesiam. Universalis would have connoted something immense, but bounded and uniform throughout. Catholica implies something different, a living, communing, expanding reality, with the whole in each part, and each part functioning within the living whole, in a communicating plurality of ecclesial expressions. The many rites  19 by one count Latin, Ukrainian, Chaldean, Maronite, and so forth, are at least a vestigial witness to a former unity in diversity. Now, this sense of things runs quite counter to the resonance of that most un-Catholic of words, "Catholicism" which, though in currency in the English language from the 17th century, was a key term in the vocabulary of the ultramontane French Traditionalists in the mid-19th century. It represents an attempt to reduce the personal fides catholica or the communal ecclesia catholica to a system of ideas, one more ism in a world of then burgeoning isms. Needless to say, Catholicism has never appeared in an official Church document. It is worth making this point, since a "Catholic University" would get off to a bad start if it conceived of itself a "Catholicist" institute, suggesting an intention to promote some form of religious ideology. That distinction is worth bearing in mind as we proceed with this reflection. This attribute of universality which adorns the People of God is the gift of the Lord whereby the Catholic Church tends efficaciously and constantly to recapitulate the whole of humanity with all its riches, under Christ the head in the unity of the Spirit. In virtue of this catholicity each individual parts brings its particular gifts to the other parts and to the whole Church, so that the whole and the individual parts are enriched by the mutual sharing of gifts and the striving of all for the fullness of unity..." (Lumen Gentium, #13). 19/ Though we are dealing with a marked idiosyncrasy in naming ourselves "Catholic", we should not forget that roughly a quarter of the Australian population is thereby named as our immediate constituency. It is hoped that it will look to ACU, not in the way, perhaps, given the Dawkinised origins and structure, that many would consider ideal, yet still with the hope that ACU contribute something deeply significant out of a vast and multifaceted Catholic tradition both to the Church, and to the intellectual life of this country. 20/ University: How can we be a university? How, despite all odds,13 might we collaborate in multi-disciplinary creativity to achieve academic and professional excellence in our enterprise? A once great academic tradition is in jeopardy. The present focus concentrates on that narrow segment of the scientific or intellectual enterprise deemed by our political masters or fiscal administrators to be economically viable. Compared to the skills that a consumer culture finds immediately useful, wisdom is scarcely a marketable quality. The general dumbing down of the intellectual enterprise does not favour an exploration of the manifold of human experience in either its heights or its depths. Flat, narrow pragmatism is all. There is something suffocating in the culture in which the University struggles to breathe. For ACU, it is of no use pretending to an excellence we have not yet attained. But that is no argument against making our own an excellence of vision and aspiration of a kind that is proving elusive to the more prestigious institutions in whose shadow we live. 21/ Now, I say our in full recognition that our collaboration, though ideally breathing a common ethos, does not suppose that we are all Catholics, or Christians, or religious in any conventional sense of the word. Still, we are at this time who and what we are. Presumably, no one of us would want to be defined out of the broader catholicity of intelligence that intends the truth in all and each of its aspects, nor operate beyond a catholicity of values summoning all into the self-transcendence of personal, intellectual and professional integrity in the pursuit of the common good. Nor, at the other extreme, should those of us who are bearers of a millennial tradition of faith and practice feel prevented from giving the most creative and comprehensive meaning to the name both the University and we ourselves publicly bear. In that tradition is found a venerable classic axiom that has had peculiar importance at certain times in the Churchs history: Grace heals, perfects and transforms nature. Grace, the free transforming gift of God is not identical with human potential  as a secularised reduction of theology might suggest. Nor is such a gift the contradiction of nature, as an extreme version of Protestant theology contended. In a Catholic horizon, the gift of God heals what needs to be healed, perfects what is imperfect in its scope or capacity, and transforms it to a degree that no eye has seen, nor ear heard, nor the human heart conceived (1 Cor 2:9). In the realm of intelligence, believers can find in their faith ever-renewable resources to heal the bias and diffidence into which the intellectual life might have drifted or declined. Further, this work of intelligence is perfected and affirmed as the light in which the universe as Gods creation, in all its meanings and values, can be profitably explored. Finally, as intent on God and open to divine gifts, faith places intelligence in an horizon in which the human mind and heart can contemplate all the meanings and values accessible to it in their ultimate significance: "In your light we see light" (Psalm 36:9). This is to say that the life of faith and grace, far from interfering with or undermining the progress of intelligence, subsumes, supports and inspires it, to give it a fuller realisation within a richer context14. The light of intelligence breaks into a rainbow of disciplines arcing over the chiaroscuro world of our immediate experience. 25/ So, while clearly choosing Catholic as the umbrella notion in this reflection on our institute as Australian, as Catholic and as a university, I am regarding the meanings of these three terms as somewhat porous, and concretely inter-related: ..the conversation that we are. Fuller discussion on possible inter-relationships will no doubt indicate endless possibilities. We might profitably pause here to consider how this umbrella meaning is communicated in our University. 26/ If, say, we would talk about our ethos, it is helpful to take note of its multi-dimensional expressions.18 Though these can be distinguished, and in a sense felt, either as present or absent, waxing or waning, in any given situation, the vision and values implied are not easily formulated. The butterfly flits to and fro in the garden, but if we try to make it an item in the collection it has to be caught, killed and pinned up in a show case. Living realities are best detected in their movement. The movement in this case is toward the good. Call it conversion, if you will, manifested in any number of ways: a movement in the simple fact of being intelligent to the ultimate demands of truth itself; a movement from the simple fact of having a conscience to being collaboratively and compassionately moral in all our dealings; a movement from simply having a religion to complete self-surrender to the mystery and its purposes; a movement from being denominated Christian to a living union with Christ in his self-giving love for the world; a movement from being traditionally Catholic to being a creative agent in the development of the Catholic tradition. This is not exactly the language of measurable outcomes. Let us look at the matter more concretely by reflecting on five typical ways in which the meaning of Catholicity might be expected to pervade ACU. 27/ First, the word. Words are what universities are good at. In the word, meaning is most clearly objectified. The ethos, a manner of feeling and acting, has need of a logos, a discourse. Read the mission statement. Consult the strategic development plans. Listen to the graduation addresses. Cast an eye over the minutes of the Senate and the various boards. Look at the handbook, and the course offerings in theology, religious education, and note the ethics and philosophical units popping up in health sciences, business, education, and so forth. See how our various prestigious centres describe themselves, and be amazed at the various kinds of research that emanate from them, and the conferences they hold. Consider the agenda of the Goals Committee, with its ongoing care to promote the Catholicity of the University. On it goes. Words abound as in this present instance; and they are a good place to start if you were researching what this university was about. But meaning would be paper-thin if words were its only carriers. I turn then to other, more tacit, manners in which meaning is communicated. 28/ Symbols, for instance. Paul Ricoeurs often quoted dictum, symbols give rise to thought, points to the symbolic substrate and momentum of our deepest thinking. Aquinas would have put it in more general terms of conversion to the phantasm. The point is that our capacities to think arise out of a symbolic totality, of imagination and affect, which can never be fully objectified in words or concepts. Opposed to the dia-bolic, the force that separates mind from heart and imagination, the sym-bolic brings them together. The symbol embodies, as it were, the lived meaning. In terms of the Catholicity of ACU, the area to ponder is the presence of symbols which resonate with the history of Catholic experience. Our distinctive crest makes its point, as does the rest of the iconography in our chapels, lecture rooms, reception halls and offices. With the passage of the years, more meaning accrues to such symbolic expressions. 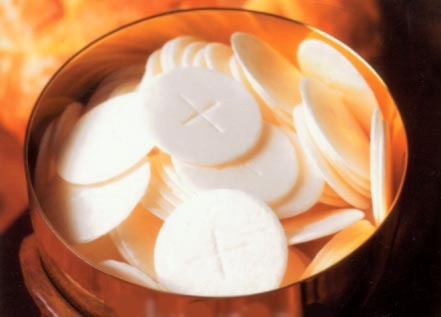 29/ The Catholic experience is a rich world of symbols some of which are so laden with significance that we have a special name for them, namely, the sacraments. A sacramental symbolism sustains a communal life of a Christian faith. On all our campuses the eucharist, the sacrament of communion with God and creation par excellence, is frequently celebrated, not only during the week, but at significant times in the academic year. The business of theology is to a large extent a reflection on the symbols that give body and focus to Catholic experience. Through these symbols, faith is linked to its past, connected to the universe of Gods creation, and celebrates the transcendent love that has been revealed and expresses its future hope. 30/ Enquire into the symbols of any institution, and you are confronted with its identity, with how it sees, feels and celebrates what it is. Modify anything at that level, and you change an identity. Contemporary culture is characterised by a conflict of symbols. We might ask, Does the basic symbolic expression of the intellectual life derive from the experience of the market place, or from the liturgy of praise, thanksgiving, reconciliation and communion?19 Too mystical a question? Perhaps: but do note that modern advertising is basically intent on colonising the great world of symbols, even religious ones, with its materialist concerns. And who can deny its success in bringing about the consumer culture? 33/ But that is not all. The meaning of any institution is carried in two further ways: in ways to be explained, they can be called incarnation and intersubjectivity. A word on each. 34/ Incarnate meaning: in one sense, this range of meaning is a carry-over from the central Christian doctrine of the incarnation: the Word became flesh and dwelt among us. But the mystery of the Word incarnate invites us to develop a more general category. Meaning is embodied in persons.23 More to the point: in the faith and mysticism, the wisdom and goodness, the artistry and expertise of the men and women who make up the University, the meaning of ACU is embodied. We are what we are: a truism, perhaps? On the other hand, the meaning and values of what we are, especially the way faith, spirituality, academic commitment and administrative service make us what we are, are instanced and held before us in the people outstanding in one or all of these aspects. Our ethos is never ethereal. If it is not incarnate in persons, the meaning and values implied in our ethos dissipate into rhetoric a nice construction put on an ambiguous reality, but little more. To the degree, however, that the ethos is embodied in the self-transcending dedication of colleagues and students alike, it not only means something, it means someone. Such people mean the world to us. They exemplify and substantiate what we aspire to be. In the world of faith and spirituality, our Catholic habit is to refer to the patriarchs and apostles, to saints, mystics, martyrs, reformers, founders. Commonly, their names adorn our campuses to invoke a benediction on our earthly ways within the communion of saints. But there is a range of presences more intimate and homely: the people who hold the show together, because in some remarkable way they have it all together, as the modern idiom has it. It is no small challenge for an institute such as ours to avail ourselves of their witness, and perhaps to arrange occasions when we can communicate together on what really matters in the complex world of our daily concerns.24 Whatever about that, the Catholicity of our University is to be found pre-eminently in those whose faith has moved them to dedicated academic and professional pursuits in the best tradition of service and intellectual integrity. To take this point further would, I feel, demand too much humility and cause too much embarrassment. Still, what can an ethos mean without its varied and significant embodiments? love is patient; love is kind; love is not envious or boastful or arrogant; it does not rejoice in wrongdoing bu rejoices in the truth. It bears all things, believes all things, hopes all things, endures all things (1 Cor 13:4-7). 37/ A homily would not need be too acrobatic to make some worthwhile application of such words to University life aspiring to openness to the all things the apostle refers to. I doubt however, that these celebrated verses would provide a motto for any university in the current climate, given the barbarism and myopia of the Governments treatment of higher education and the sorry reactions within the universities themselves in the general fight to survive, resulting in the systematic exclusion of any value above the economic. In an atmosphere of inflated self-promotion and all the rest, faculties and departments are divided against one another in the war over dwindling resources. Be that as it may, why not be more positive? Any sense of a distinctively Catholic ethos would be obscenely awry, if, in the words of Dante which conclude the Divina Commedia,  lamor che muove il sole e le altre stelle ( the love that moves the sun and the other stars) did not move us to friendly collegiality of mutual support and common purpose. Not to get too homiletic: we all fall short of all-round excellence, and feel the pressures; and the times are not propitious, nor is the structure immediately favourable, in regard to ease and immediacy of communication. Still, the intersubjective meaning we share is an irreplaceable resource. One feels, that if that is maintained and developed, problems can be faced and tensions resolved in the give-and-take characteristic of people involved in something bigger than themselves. But if the mood is not there, everything is too difficult and too threatening, and centrifugal forces will have their destructive effect. The joy and hope, the grief and anguish of the people of our time, are the joy and hope, the grief and anguish of the followers of Christ as well. Nothing that is genuinely human fails to find an echo in their hearts (#1). 40/ The problem arises from differing interpretations of humanism. Is the expression of value justice, civility, intellectual integrity and so forth the articulation of an incarnational humanism, or simply a matter of conforming to current liberal values along the lines of the political correctness that Buckley fears? One can see that mission statements must be always in a state of revision, but the basic criterion is what they are made to mean in practice a good evangelical measure: By their fruits you shall know them (Mat 7:16-20). 41/ The field of meaning in which a mission statement operates is multidimensional. As regards the lived meaning of Catholicity, there is a cognitive component, basically the incarnation, life, death and resurrection of Christ, and the articles of the creed . But beyond the objective truth-content, there is a constitutive or identity-forming dimension. The truth concerned informs or indwells the consciousness of faith. It gives to those who believe through the mediation of Catholic tradition a sense of themselves as called, loved, healed, forgiven, and strengthened by the gift of God, and sent into the world as witnesses and agents of a transcendent purpose. Further, such meaning is communicative. Of its nature it looks to the formation of an historically continuous community living by a distinctive range of truths, values and experiences and practices. Lastly, such meaning has an effective thrust, an impulse and inspiration to transform the world of culture in the energies of what the community celebrates in its faith, hope and love. In short, the Catholic reality concerned is holographic in its multi-dimensionality. How long would a mission statement of ACU have to be if it were to give the barest indication of this many-faceted identity? 42/ There is a time for brevity, and a time for more ample exposition. In the leisurely mode of this latter, I have been suggesting variety of manners in which the Catholic meaning of our University is realised and unfolded  in the hope of suggesting a critically respectable language in which the often inexpressible aspects of our ethos can be identified, explored and promoted. 43/ A pervasive problem is found in the cultural mentality of today. It is so fixated in an view of knowledge as commodified information that it is difficult to appreciate the activity of knowing in a much deeper, more personal sense. All worthwhile knowledge is the outcome a radical self-involvement in the search for truth, with the implication of continuous learning in openness to the whole scope of experience. We know reality primarily be participating in it. A suggestive example of such a participative mode of knowing is the blind persons white cane (both the physicist Niels Bohr and the philosopher of science Michael Polanyi have used this example). If I am visually handicapped, the stick is of immense benefit in tapping and feeling my way through the contours of the world around me. But I must hold it firmly enough to sense the shape of things, so that it is felt as an extension of my hand and arm. If I hold it too loosely, the long stick is more likely to be an impediment, more apt to trip me up than help me find my way around. At the other extreme, if I hold it too tightly, the cane will be merely a rigid extension of groping hand and body; it will not have sufficient give to feed back to my touch the turns and bends and drops and rises of the path ahead. 44/ The courage and skill of the blind in their use of such a cane are a model for all our knowing. As regards the full vision of reality, we are all in the dark. But wherever we start on our path into the universal and ultimate truth, we can begin with the white stick of our prior beliefs, experience, hopes; in a word, tradition itself. It is the only way forward. Whether I am a scientist, an artist or even a mystic, I am never a pure spectator: I am plunged already into what is, participating in it, indwelling it, moving within it. I always have something to go on with; and going on with this firmly yet open to ongoing feedback is the only way to go. 45/ So, the Catholic tradition. For those who live within it, it is our white stick in dealing with the transcendent mysteries in which we are already immersed. It might be lengthened, or shortened or differently weighted as the feedback continues; but it remains the way forward into a deeper knowledge of the realities that mind and heart explore. 46/ While there are distinct and specific considerations relevant to "University and Catholic, I think it is crucial not to separate these two aspects of ACU in a reflection such as this. To a Catholicity of content must be allied a Catholicity of method. This is to say that the intelligence proper to the University must not be inhibited from inquiring into the whole of nature and culture, thereby to turn its attention to religion, in its institutions, doctrines and practices. More contemplatively, though quite traditionally, such intelligence when it is insistently intent on truth, is drawn beyond itself into a transcendent realm of wonder and responsibility which surely touches on what we would call religious.27 Conversely, faith in the Creator, brings with it a vivid sense of the universe as Gods original and ongoing creation. That creation becomes increasingly luminous to itself in that part of divine creation which we call the human spirit, and its consciousness of intelligence, responsibility, wonder and beauty. If faith is not going to ignore the creator nor creation nor the light in which it is revealed to our minds, it must rejoice in the explorations of philosophy and science, in the creativities of the arts and culture. If it chose the way of mindlessness, it would be denying its basic truth. It would be a soul without a body, or perhaps a heart without a head. God is not glorified by stupidity or obscurantism. Needless to say when the Gospel adds its distinctive mystery to creation, namely the incarnation of the divine Word in Jesus Christ  related not only to the primitive world of orality, nor to the modern world of writing alone, but to the emerging world of communication technologies that sense of creation is immeasurably enhanced. The divine mystery is not only the source of creation, but self-expressed within it. Faith seeks understanding, to express itself critically in terms of meaning and truth. Intellectual enquiry, for its part, can seek faith in order to answer its ultimate questions. These two movements overlap and, ideally, collaborate. If faith does not collaborate with the whole search for truth, it will haunt the world at the expense of inhabiting it. If the search for truth is not open to the data of faith, it will confine itself to self-imposed limits. 47/ The challenge, therefore, is to keep the holic dimension, in the Cat-holic-ity of our shared enterprise. That is a task ahead of us. A distinctive holistic vision must be kept alive and vibrant through our whole curriculum of our learning and teaching. Such holism/ holicity does not so much seek some unattainable encyclopaedic synthesis or comprehension of all knowledge. The Renaissance may have had as its ideal the uomo universale, (the universal man) but today such an ideal is out of the question. With the present knowledge-explosion each of us is hard put to keep up with important developments in ones own discipline. What we must not give up on, however, is the holism of method, understood here as a framework of interdisciplinary creativity. In this regard, it is more a matter of making an organic connection between disciplines: a Catholicity of content joined to a Catholicity of method. 48/ The first point to note here is that the subjects of our various disciplines  i.e., the segment of data designating a particular concentration of research, or a particular harvest of results to be taught, are taught by and to subjects in another sense  human subjects, conscious, intelligent, moral subjects, capable of intending the truth and doing the good. By a strange quirk in the history of language, subject has come to designate both the one who teaches and learns, and that which is taught and researched. While that is an odd turn of language, it is not a fundamental problem. The real problem in education concerns the manner in which both teachers and students experience themselves as conscious subjects, appropriate their subjectivity, and articulate and communicate the experience of what they most deeply are. In this respect it is not merely a matter of knowing something, but of becoming someone, not just a matter of knowing relevant things, but of becoming a relevant person, enabled to respond to the developing situation. True, the New Testament concedes that, while we are Gods children now, it remains that what we shall be has not yet been revealed ( 1 John 3:2-3). A minor instance of this ever-deferred sense of our final selves is inscribed into the practice of learning: the more we reach toward the truth, the more we come to ourselves in the full potential of our being. 50/ Even though the classical tradition tended to ignore the human consciousness by confining its talk to soul and body, still it planted the seed of a richer more psychologically attuned sense of the self. The various stages of modern philosophy leading to the present, even though growing in awareness of the unique phenomenon of human consciousness, left us, to some extent, with a truncated and mutilated sense of self. Kant opened the question of the role of the subject in all our doing and acting. In his wake, a chasm opened between subjectivity and objectivity. Two extreme tendencies emerged, each of which affected the philosophy of education and left its mark on the way we interpret the information revolution of today. These two obvious extremes are idealism and empiricism. With idealism, our concepts or ideas are everything. In the logic of these great ideas, there is little room left for development and drama of human history. When reality is snap-frozen in human concepts, further progress is confined to the fusion and conflict of ideas. The personal reality of the other, the possibility of new insights into new data, the unsettling question of the truth of such insights, of what is truly the case beyond what we can currently think or imagine, does not tend to arise. The mind is content with abstractions and its productions. We are on the way to virtual reality. 51/ At the other extreme, is empiricism: we are what we do best  see, hear, touch, smell, feel, imagine. The world before us is what can be so sensed. Intelligence and freedom might have an obscure instrumental role in arranging the sensed world more neatly for our satisfaction, but basically we are sensing beings confined to a world of sensations and satisfactions. Knowledge is information, passing from one data-recording machine to another, thence to the printer, without making any detour through the insights and reflection of the human mind or provoking any deliberation as to what is the best course of action. Knowledge is information; power lies in controlling the flow of information; freedom is in availing oneself of such knowledge and power to the best advantage. If the idealist lives in the ivory tower, the empiricist is most at home in the stock exchange. 52/ Is there some middle ground between and idealist and empiricist versions of reality, in which the human person, the whole range of human consciousness, and the pull of values have a place? It would be hard to find. Little wonder this modern period ended in alienated self of existentialism. There is no meaning save our own constructions, and no value other than what we ourselves freely create. There is nothing beyond our own making; including what we make of ourselves. The cosmos may have taken 15 billion years to bring us forth, but to what purpose? We are left to a private, absurd gesticulation in an alien universe, left with nothing but ourselves. In the midst of this exhaustion came what is usually termed, post-modernism. We have to make the best of what we are; any final meaning or value is to be indefinitely deferred, given the panic in which we try to cling to even our best achievements. There is some value in its endless parody. If Socrates considered that the unexamined life was not worth living, now the endlessly examined life is declared to have no meaning, no foundation, no direction, no blessed beginning, nor hoped for consummation. 53/ I admit that this caricature is too glib and bleak. Still, I do suggest that it is the caricature that exerts the most influence through the mass-culture of our times. The point I want to make is that our culture is at a huge turning point; and that, as a result, exploring the role of a Catholic university can lead to a moment of immense significance. If we can come to possess ourselves in the full conscious subjectivity of what we are, there is a way forward to a creative collaboration that makes excellence too weak a word. 55/ This pattern of self-transcendence is found, first of all, within each of our conscious selves as academics. Here we should not underestimate ourselves. For each of us, in his or her own way, has put years of work attending to some specific band of data in human experience. We apply ourselves to identify, record and explore such a segment of the given. As understanding and mastery follow, we have committed ourselves to follow the evidence that emerges, and thence to communicate our findings. Our students are invited into our way, our method, of reaching such results, to assimilate what has been discovered, and to go and do likewise in their own professional or academic lives, thereby to make a difference, great or small, in the building up of a more humane society. While we teachers are doing different things, and so have different academic or professional goals, still we are performing similar operations. For none of us would avoid embarrassment if it were pointed out that there were some data relevant to our discipline that we consistently overlooked or excluded. It is not likely that any of us would admit to never having been troubled by a question about what the data meant, and that we proceeded with no regard for evidence. Though we may not be teaching ethics, it would cause some suspicion in our hearers if we announced that we had proceeded in research and in teaching without any sense of responsibility to the truth or to the human good generally, that we had no conscience at any stage of our teaching, our research or our assessment of our own or our students performance. 56/ It would seem to be, then, a simple but fundamental fact, that there is a method inherent in all our different methodological procedures. For we each feel the force of the imperatives  to be attentive (to the data that are our special concern); to be intelligent (by questioning the potential meaning of what is presented); to be reasonable (by weighing the evidence, and thus coming to a properly qualified judgment on what has emerged); to be responsible (by accurately communicating to the learning community what has been discovered, and, where need be, by applying it, within the context of our society and culture, for the furtherance of the common good); to be hopeful (that this commitment to meaning and value is not an activity alien to the ultimate meaning and good of the universe, but a growing participation in it). 57/ Such imperatives are not so much thumb-rules, but the objectification of the dynamics inscribed into our consciences as academics. Neglect any one of them, and you block or mutilate your own intellectual and moral being. It has been wisely said, that genuine objectivity is the fruit of authentic subjectivity30. The more I own my own capacities of sensing, feeling and imagining, of questioning and reflecting and judging, of deciding, acting, and caring, even of loving and praying and contemplating, the more objective and comprehensive can my judgments be. 58/ But there is another advantage. Once I have discerned in myself and appreciated in others this fundamental structure of self-transcendence, the more I have a framework by which to collaborate in an interdisciplinary manner. It works two ways. First, I have a healthy sense of the integrity of my own discipline, in its consideration of the specific data and the concerns that are not the occupation of other disciplines. I am studying the workings of business, not health care. I am examining the field of modern media and communication, not reading Socratic Dialogues or the New Testament. Someone else is doing those other things which perhaps I might like to do, but for which I have neither the time nor expertise. But I have come to know something, and that is what I offer to the complex, collaborative process we term the human/common good. 59/ But there is second point, often most neglected, even if it is obscurely sensed as important. What I am doing is methodologically part of the University curriculum we offer our students. They are typically presented with quite a collage of subjects in dozens of different units. Is it enough to expect them to get it all together when we, their teachers, make no effort in that direction? The temptation is clear: my subject is what counts. As regards the rest, well, let others teach what they will, as long as they dont intrude on my turf. This situation is not helped when other disciplines are present to my perspective as rivals and competitors for the scant financial resources available a situation that does not notably favour interdisciplinarity! 60/ Nonetheless, there is room for a larger wisdom. The data that I professionally consider are not the sum total of everything worth considering. The questions I bring to my specific data do not exhaust the powers of human intelligence. The evidence I produce does not englobe all dimensions and facets of truth. The human good I enrich and promote is not yet our common good in all its aspects. In short, every discipline has its own limitations. The human mind, imagination and concern that produced this discipline is at work in others. This commonality of mind, imagination and concern pervading all disciplines makes it imperative that they enter into a collaborative relationship within the whole enterprise. Through such collaboration, each discipline is recognised as contributing its distinctive gift. Each is also enriched by its relationship to the collegially self-transcending enterprise. Only a sense of this performative totality can challenge either the tunnel-vision or the imperialistic ambitions of each and all of our respective disciplines. 61/ In short, the consciousness out of which we learn and teach and act to transform our world is not first given to us as a discipline-specific phenomenon. Intelligence is natively holistic. It intends the whole before it limits itself to a part; it is open to the all, before it is reduced to what is merely my own concern. It comes down to this: when confronted with limitless investigation of the universe of truth, goodness and beauty, there is room for a legitimate pride in what my discipline might offer; and for a becoming humility before the array of other specialisations. The more our minds are methodologically attuned to the basic dynamic structure common to forms of human intelligence, the more the huge range of disciplines making up the University will itself be an ecology of learning and care. In such a communion of disciplines, the part will be in the whole; the whole will be in the part; and we will experience and understand ourselves as collaborators in the one enterprise. A Catholicity in content inspires a Catholicity in method. 62/ Times change. Cultures change. Generation follows generation. Over fifteen hundred years ago, the great creed began with the confident, We believe in One God. That was the least problematic of its statements. Classical philosophers, Jews, Christians and Muslims all shared a religious world-view in which the truth of the One God could not conceivably be doubted. The conflict turned on how that one reality could be known, and on how it had revealed itself. But in the present cultural world, the first article of the creed is a statement of defiance. It flies in the face of the deeply atheistic and agnostic suppositions of the modern world. A huge shift in consciousness has occurred, causing a break in the two and a half millennia of tradition. Today, the reality of God has become the question or, perhaps, not even a question to a vast number of our contemporaries who, culturally speaking, are numbed as regards any transcendent sense of reality. When a sense of ultimate meaning and worth wanes in a culture, belief, instead of working for a religious sense of the world, works against it, for the assumptions of the culture cut off from its roots and hopes, acculturates its inhabitants to doubt, scepticism and to an individualism that can imagine no broader social, cosmic or universal belonging. Where should be look for the sources of shared minimum that could serve as a framework for the buoyant co-existence of different cultures within a single civilisation? The rules of human co-existence on this earth can only work if they grow out of the deepest experience of everyone... they have to be formulated so as to be in harmony with what [each one] as a human being, not as a member of particular group, has learned, experienced, endured. ... since time immemorial, the key to the existence of the human race, of nature and of the universe, as well the key to what is required for human responsibility has always been found in what transcends humanity, in what stands above it. Humanity must respect this if the world is to survive. Dostoievsky wrote that if there is no God everything would be permitted ... people should revere God as a phenomenon that transcends them, they should revere one another and they should not harm their fellow humans. The loss of a transcendental perspective, to which everything on this earth relates, inevitably leads to a collapse of earthly values systems as well. Humanity has lost what I once privately described as the absolute horizon, and as a result everything in life has become relative. All sense of responsibility disintegrates, including responsibility for the human community and its authorities. 70/ The intellectuals of the privileged West might well bear in mind what a large part of world has come through. Whether we look to the experience of Eastern Europe or the current struggles in South East Asia and the Pacific, commitment to something exceeding our immediate advantage has emerged as a key issue. I compress a lot of thinking when I say that ACU might be well advised not to seek its university model in the prestigious forms of what is, in fact, a culture in decline, but to ask how it wants to contribute to an emerging future. We must become a laboratory of the meanings and values which in current Catholic rhetoric are referred to as integral or transcendent humanism. The spiritual vision implicit in such phrases brings us to another key question, the place of theology in the University and the place of the University in theology. 71/ In attempting the articulation of the Catholic dimension of our collective enterprise, I do not of course pretend that the discipline of theology is making itself out to be either the arbiter of excellence or the resident censor of life of the University. The Catholic dimension is far larger than theology. If a university thought of itself Catholic just because it had a theology faculty, that could conceal as much as it revealed. Is all the Church and religious stuff now shunted off into a convenient siding, so that the daily traffic of academic freight can go on unimpeded? Does theology think of itself ensconced in a privileged enclave from which it could pass judgement on the rest? These extremes, however possible, are, in fact, silly. Nonetheless, if there is first of all a theology of the University, curricular theology need not be either feared or fearful and, therefore, a divisive, force. It can have a properly and critical unifying influence on a number of counts. 72/ Theology does have a distinctive voice in the general conversation. It is the most interdisciplinary of disciplines, for reasons essential to its concerns. As a reflection on Christian and Catholic faith, it cannot possibly view the vast field of other faculties and disciplines as an unbaptised mass of secular effort, but as domains of truth and concern that have an ultimate significance in the understanding of creation, the incarnation and human destiny. The burden of Newmans thesis is of course well known: if theology were excluded from a university, not only would there by an objective mutilation in the body of human knowledge, but other disciplines would themselves tend to fill that gap with a self-importance that would be both destructive to them and to the whole University enterprise. The other side of the coin is this: theology needs other disciplines traditionally, philosophy, and today never more so, but also history, literature, psychology, sociology, education, politics, economics, science and communications, and so on, if it is to be faith seeking understanding in the culture of the day, in order to find its intellectual embodiment and public expression. 74/ For Christian theology, of course, a key concern is the incarnation: the Word was made flesh and dwelt among us. In Jesus Christ, the divine Word, the Logos, has irrevocably assumed a human nature, becoming a human being, a part of creation, and an agent within its history. With the advent of printing, that history is no longer mainly oral. With the arrival of communications technologies, the former print-based expression of meaning now expands into a new immediacy of communication. The Word has become flesh to dwell among us, not only in the human word, not only in the printed text, but in the electronic media massively shaping contemporary culture and affecting human history. The fact that the Word of God has so owned, so assumed, our humanity and the world it inhabits, remains an inspiration for faith and its theology to do likewise. The incarnation of the Logos (divine meaning) affects our understanding of all human logoi (meanings). In other words, the-ology properly profits from all other -ologies that mark the path of intelligent exploration a dia-logue of disciplines. 75/ Further, theology must bear the shock of the Cross, in the recognition that the supreme revelation of God is Gods self-identification with the suffering victims of human history. The Cross inspires theological reflection and practice ever listening to the voices of all who have been hitherto excluded, demeaned and disowned in what has been presumed to be historical progress. Theology, then, necessarily speaks on behalf of the victims of history, the marginalised who have no voice, the sufferers who have no worldly hope. 76/ Moreover, even as a theology of the Cross cultivates a familiarity with dark limits of human hopelessness and suffering, it still recognises that the resurrection has happened. Theology is not, therefore, a despairing activity, but a work of hope and peace. The limitless energy of life and love is already working in the world through the transformation and reconciliation that only God can bring about. Theology must not seek the living one among the dead (Lk 24:5), but go out to find him among the living, the life-giving all in whom the Spirit is moving and working, the saintly, the wise, the workers for justice, the peace-makers, the bridge-builders  all who hold the world together in humble self-effacing service of their neighbour. Allied with them, theology must risk seeming somewhat foolish in the process, as the proponent and carrier of a subversive wisdom: Gods foolishness is wiser than human wisdom, and Gods strength is stronger than human strength (1 Cor 1:25). 77/ Hence, in the moral and practical concerns of theology, issues keep recurring such as the dignity of the human life, the promotion of justice for all, the quality of personal and family life, the protection of nature, the search for peace and political stability, a just sharing of the worlds resources and a new economic and political order better serving the human community at the national and international level. Obviously, theology is not confined to intra-ecclesial matters, but, through collaboration with numerous other disciplines, situates itself within the Churchs mission to the world. 78/ Accordingly, theology by itself is not exclusively the Catholic aspect of the University even though, in different ways, theological reflection serves both the mission of Church and the mission of the University. While theology reflects on its own classic texts, it must keep reading the whole human text. In this it is a dialogue of disciplines, and a framework of creativity and communication, an integrating activity respecting and promoting a self-transcending involvement in the world. Here, I think there would be room for complaint if theological units were required in a particular sequence, say, of health sciences, or of psychology or of business studies, and so on, but theology itself showed no interest in engaging the areas in which it so appears. Unless theology develops sufficiently to offer, in reference to the above examples, not just a fairly arbitrary unit or two, but something more like a theology of health and healing, or a theology of counselling, or even a theology of business, and so on, it could well appear to be alien and intrusive in the curricula of other disciplines. The development of genuinely inter-disciplinary connections in ways that will engage both theologians and their colleagues in other disciplines is, to my mind, a major concern for the future. 79/ In this regard, theology has a many-sided pastoral dimension. Theologians can be of assistance to colleagues in other disciplines, not least because of their long experience of interdisciplinary learning. Though this experience is necessarily restricted, still it can provide a useful model for a much wider domain. Theology serves the University as a core discipline, articulating its Catholic sense and ethos. At the same time, it promotes a crucial critical awareness: through their respective concerns overlap, the University is not the Church, nor is the Church the University. Awareness of this works both to preserve the Universitys specific and legitimate freedom in relation to the Church, and, in the long run, enables the Church, not only for the advancement of its members, but for the enrichment of its own teaching, to profit from the work of the University. In sponsoring the work of the University, in allowing it scope to pursue its own academic and professional ideals, the Church is cultivating a fertile space in which its tradition can take shape in a particular society and be a creative agent in the formation of the wider culture. 80/ Most of all, theology is pastorally related to our students. True, it is not to be identified with the more immediate goals of campus ministry; but neither is it to be divorced from such. Theology, or theologians, can hardly intend to have no interest in the well-being and spiritual growth of the students. There are areas, such as liturgy, prayer and spirituality, the concerns of social justice and peace, resistance to the consumer society and volunteer units as part of theological practice, in which theology, if it is in any way alive and creative, must affect the life of the University and its students. Theologians must in this regard practice what they teach, even while respecting necessary divisions of labour. While the theologian is not a chaplain to the University, he or she is a minister of its deepest meaning, and, ideally, an exemplar of the creative capacities of the tradition animating it. Given the enormous range of core and elective opportunities in any program of study today, with their respective specialisations and inter-disciplinary connections, the students, to say nothing of those who instruct them, might often feel that most are majoring in confusion. The knowledge-explosion results in fragmentation, with bits of knowledge going in different directions. When this is the case, any given array of subjects is likely to be experienced as a collage of units vainly striving for some coherence in major-minor sequences, but puzzlingly separated from the doings of other faculties and departments, and hardly aware of the overall enterprise which the University understands itself to be involved in. What is lacking is a deep sense of integration, the deeper sense that gives direction and context to the limited range of things that can be studied in any one course. Catholicity in this regard functions as an integrating tradition, or, to borrow a metaphor from Archbishop Rembert Weakland of Milwaukee, a tapestry viewed from the right side, in which its various threads no longer look like arbitrary stitchings, but parts of a coherent whole.31 Significantly, the ecumenical potential of a proper practice of Catholicity has not gone unnoticed, as the enthusiastic presence of Lutherans and other Christian denominations attest. 81/ Theology, therefore, working in close partnership with philosophy and history, has an indispensable integrating or ordering function. Drawing on the resources of Catholic tradition, it provides a deep narrative coherence to the particular meanings, values, skills, arts and competencies intended by the educational enterprise. For theology articulates the great co-ordinating symbols of that tradition which nourish and sustain the meanings, values and aspirations expressed in words like truth, love, peace, hope, reconciliation, healing, justice and unity. More to the point, it provides the deepest possible rationale for why truth and the human good matter; for why each human person, above all the students themselves, has an irreplaceable worth and dignity which can never be sacrificed to any other goal. 83/ A question arises: should we be content with simply accepting the Catholic tradition as a vast animating and integrating factor in the ACU enterprise? Or, should we make the effort to specify the study of this tradition under the rubric of Catholic Studies? This is the option a number of American universities have taken; and strangely, such is the title of an odd unit or two in some of our local universities, eg., Latrobe, and of a whole area of study at Yale, for instance, which, incidentally, is searching for faculty to carry it forward. Nonetheless, any Catholic Studies proposal should take into account two dangers. If we settle for the animating-pervasive model, Catholicity can be made to mean, in an uncritical fashion, all or anything at all, while all the time speaking in conservative rhetoric which takes the tradition for granted, but sees it as ultimately undemanding in its vagueness. At times, Catholicity would be ritually invoked in reference to the ethos of the University; at other times, a more intense, episodic emphasis on the Catholicity of the University might give the impression of arbitrariness or even fundamentalism. If a tradition is to mean anything creatively, it must be, in the best Socratic fashion, critically examined, argued, commended. If, however, we go in the direction of specific curricular articulation of Catholic Studies, there is an opposite danger. The Catholicity of the University might be left to this specialised area, a jewel in the crown it might be, but somewhat unrelated to the ordinary, necessary head-wear of everyday life under the sun. The jewel might gleam, but the University needs to wear an ordinary republican hat! 84/ For my own part, I am inclined, pending further discussion, to go for the jewel in the crown model, but with this stipulation: that there be a genuine crown built around a high-level Institute of Research in Catholic Life and Tradition. Such an institute would of course need to relate positively and supportively to our present centres. At the same time, it could pursue its own work in researching the Catholic tradition not only as shaped by distinctive doctrinal and moral positions, but in all its historical and cultural manifestations such as in mysticism, spirituality, art, literature, music; philosophy and science, education and social teaching. If there is such a crowning area of high level research, the jewel could be better appreciated in various settings in the undergraduate and cultural curriculum. Students could thereby major in what was genuinely a major area of research. I consider that there is need for this thorough comprehension of the tradition. There are whole areas intrinsic to it that are in danger of being lost, most notably the medieval inheritance of theology, philosophy and spirituality, typified in such commanding figures as St Thomas Aquinas and St Bonaventure. Paradoxically, without this historical effort, the momentous advances of the post Vatican II period cannot be appreciated. They would be divorced from history, and seen, not as an organic development within the tradition, but as merely adventitious episodes to be studied in a kind of historical vacuum. Furthermore, I would be surprised if such a research institute were not enthusiastically supported by the Catholic constituency and stake-holders of ACU not for some kind of restorationist cause, but to nourish a genuine conservationism in times when amnesia and deracination affect the key religious and cultural traditions that have formed our history. Such a research institute would enable the University, in collaboration with other institutes of theology, to contribute something beyond the generic to ecumenical and interfaith dialogue, in ways appropriate the aims and ethos of ACU. 86/ Are we awaiting a new Benedict (or Benedicta, perhaps?) to lay the groundwork for a new culture and civilisation? Are we looking for a new Aquinas capable of initiating a vast intellectual renaissance in the light of the new resources of scholarship, science and communication now available? Are we really seeking for a more comprehensively human Enlightenment, a second version of the first, but moving beyond the individualism, the masculinism, the methodic doubt and truncated rationalism of the former version? Time will tell. In the meantime, dare we hope for a new kind of university? My own hope is that ACU will be part of the answer to that question. 1. See Judith A. Dwyer and Charles E. Zech, "American Catholic Higher Education: An ACCU Study on Mission and Identity, Faculty Development and Curricular Revision", Current Issues in Catholic Higher Education: ACCU, 19/1, Fall 1998, 3-32; Monika K. Hellwig, "Where do we do from here? A Response to the Dwyer/Zech Study", 33-38; Louis Dupré, "The Catholic University or College. What is it? What should it be? ", 39-44. For a range of views on the topic, T. M. Hesburgh, ed., The Challenge and Promise of a Catholic University (Notre Dame, IN: Notre Dame University Press, 1994); James L. Heft, ed., Faith and the Intellectual Life (Notre Dame: Notre Dame U.P., 1996) O'Brien, David J., From the Heart of the American Church: Catholic Higher Education and American Culture (Maryknoll: Orbis, 1994); P. Gleason, Contending with Modernity: Catholic Higher Education in the Twentieth Century (New York: Oxford University Press, 1995). 2. J. A. Dwyer and C. E. Zech, "American Catholic Higher Education...", 17-18. 3. Rosemary Haughton, The Catholic Thing (Springfield IL: Templegate, 1979). 4. Alasdair MacIntyre, After Virtue (Notre Dame IN: Notre Dame Press, 1981) 206. 9. Note the Vice-Chancellor's consistent linking of Catholic vision to the formation of critical capacities and to social responsibility. See P. W. Sheehan, 'Some Challenges for Australian Catholic University', Jack Woodward Lecture, 1998, 6-9; and 'What Defines a Catholic University? ', March 1998. 10. See the two recent, but startlingly different, collections of religious poetry: Les Murray, ed., Anthology of Australian Religious Poetry (Melbourne: Collins Dove, 1986); Kevin Hart, ed., The Oxford Book of Australian Religious Verse (Melbourne: Oxford University Press, 1994). 11.Avery Dulles, The Catholicity of the Church (Oxford: Clarendon, 1985). 12. Cited by Clifford C. Geertz, ed., Anthropological Approaches to the Study of Religion, ed., M.Banton. Tavistock, 1963. 14. John Paul II, Fides et Ratio (Strathfield: St Pauls, 1998) #16-23. 15. Dag Hammarskjold, Markings (London: Faber Edition, 1964) 169. 16. For excellent examples of this positive public intellectuality, see Mark Wynn, God and Goodness. A Natural Theological Perspective (London: Routledge, 1999); and Robert Gascoigne's thesis and forthcoming book, Christian Identity and the Communication of Ethics. 17. Michael J. Buckley, "The Catholic University and the Promise Inherent in its Identity", in John P. Langan, ed., Catholic Universities in Church and Society: A Dialogue on Ex Corde Ecclesiae (Washington, DC: Georgetown University Press, 1993) 82. 18. Those familiar with the writings of Bernard Lonergan will immediately see that I am making a preliminary application of some of terms and distinctions found in his Method in Theology (London: Darton, Longman and Todd, 1972). 19. See Catherine Pickstock, After Writing. On the Liturgical Consummation of Philosophy (Oxford: Blackwell, 1999). 20. Cf. Pope John Paul II's, "Letter to Artists", April 4, 1999 [Published on Holy See web-site, July 1999. 21. "Letter to Artists", #6, last par. 22. "Letter to Artists", #11. 23. Note Rosemary Haughton's 'The Team' in the first chapter of The Catholic Thing: Friedrich von Hugel, St Augustine, Heloise (of Abelard fame! ), St Bernadette, St Edmund Campion, Erasmus and Dorothy Day. Many others are added to this already surprising collection! 24. Some faculty members in the US in Catholic Universities have weekend retreats together! I note, too, that induction programs for new staff are showing increasing awareness of the 'incarnate meaning' referred to. 25. John Henry Newman, "Personal Influence, the Means of Propagating the Truth", Fifteen Sermons Preached before the University of Oxford (New York: Longmans, Green and Co., 1896) 91-92. 26. Michael Buckley, "The Catholic University and the Promise...", 78. 27. See Mark Wynn, God and Goodness; and a similar work, Ian Markham, Truth and the Reality of God. An Essay in Natural Theology (Edinburgh: T. and T. Clark, 1998). 28. Louis Dupré, "The Catholic University or College. What is it? What should it be? ", 43. 29. The model of 'self-transcendence' can be usefully related to Graham Rossiter's excellent paper, 'Researching the Spiritual and Moral Dimension to Education' (14/6/99). 30. Bernard Lonergan, Method in Theology, 265, 292. 31. Rembert G. Weakland, 'A Liberal Education Revisited', Villanova 8/3, Fall 1992, 13. 32. Pierre Teilhard de Chardin, Letters from a Traveller, Bernard Wall, ed. (New York: Harper and Brothers, 1956) 207-208. 33. Alasdair MacIntyre, After Virtue, 245.